Three years after Symantec pulled the plug on L0phtcrack, the tool for auditing and cracking windows passwords is back. It was pulled from the market in late 2005 shortly after Symantec acquired @stake, @stake took control of the rights a year or so earlier when it merged with L0pht. With a price starting at $295, will it live up to it’s name when the market has many freeware options to choose from? Accessing a Windows computer without knowing the password is fairly simple with this free tool called Kon-Boot .There are alternatives like Ophcrack etc, but those rely on grabbing the SAM hashes and cracking those. What sets Kon-Boot apart is that is modifies the kernel on-the-fly while booting (everything is done virtually – without any interferences with physical system changes) and allows you to log into any account without entering a password. All you have to do is insert a boot (cd or floppy) disk burned with Kon-boot software(110kb) in to the computer and boot up. L0phtCrack is back! 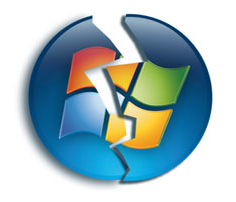 At a special information session at SOURCE Boston (Thursday, 10:15am), the team that brought you L0phtCrack will be releasing version 6 of the highly-acclaimed Windows password auditing tool. Come to the session to learn about this release, its new features and platform support, and the story of the product from the days of the L0pht, to @stake, Symantec, and finally back to the L0pht. Dialupass is one of the oldest nirsoft utilities for extracting dialup passwords. The newer beta has one useful new feature: You can now extract the dialup passwords from an external instance of Windows 2000/XP/2003 (In Advanced Options). Dialupass 3 is not officially released yet, but you can download a Beta version from here. The new version of LsaSecretsView from nirsoft allows you to extract the LSA secrets from an external instance of Windows operating system. This feature can be useful if you have a dead system that cannot boot anymore. menu, or from command-line, by using the /external parameter. This feature was also added to LSASecretsDump, which is the console version of LsaSecretsView. Be aware the currently this feature works for Windows 2000/XP/2003, but not for Windows Vista.